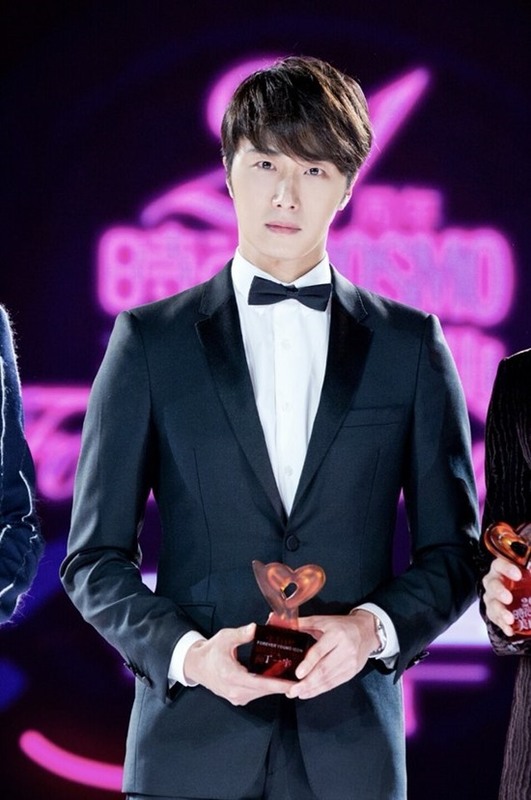 Korean actor Junng Il-woo received the Forever Young Icon Male Star gong at the Cosmo Beauty Awards in Shanghai. Jung, as the only Korean star invited, graced the occasion alongside with Chinese celebrities including Yang Mi, Chen Yan Xi, Li Zhiting, Ni Ni and Zhou Bi Chang. “Thank you for inviting me to this great occasion. I am also very grateful for the many Chinese fans who love my recent drama ‘The Night Watchman,’” Jung said in his acceptance speech. “I think youth is derived from passion. I will do my best with passion as an actor, and as a human being,” he added.